Maximise your potential online, produce more sales and leads. You have one chance to make a first impression!  Mackay Web Design has all the tools needed to create the perfect website to promote your business or organisation online. With the growth of the internet more and more people are searching for products and services using the internet and this will only expand over time. Your website is your shop window for all these potential online customers, so it is vital you have an attractive, functional website that reflects your business and brand. Sell your products online and open up your store to the world 24hrs a day. Make money when you sleep! Quality photography is a hugely important factor in a good website. Let our professional photographer get the right shots for you. Mackay Web Design can write and produce quality "Search Engine Friendly" text for your website, on nearly any subject. Integrate your social media channels into your website, social media is most effective and powerful when it’s part of something bigger. Easy to use content management system if you need to update the content on your website yourself. Full training provided.